BOBCAT # T190 ; 66 HP KUBOTA DIESEL ENG. : LIFT CAPACITY 1900 LBS. HYD. FLOW 17 GPM @ 3500 PSI. ; MACHINE 68" WIDTH ; DUMP HGT. 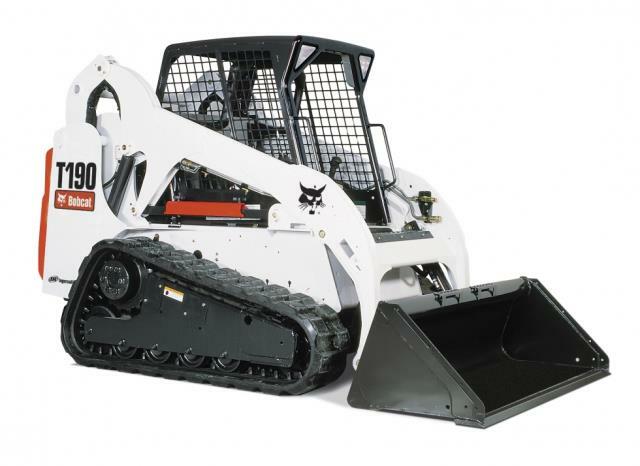 9'6"
* Please call us for any questions on our bobcat t190/590 track 66 hp rentals in Cincinnati Ohio.